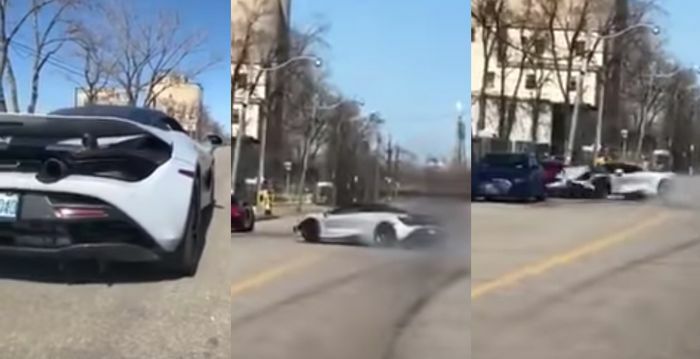 Like most of you, we caught a swift kick to the feels when we saw the recent footage of a McLaren 720S launching on a public street, losing control and nose-diving into a parked Audi R8. Now we have a lot more detail to bring you, courtesy of the 720S’s passenger. Instagrammer @0fxgvn was in the second seat of the Muriwai White 720S when the driver floored the throttle and lost the back end. In the video above he speaks to YouTuber the.leviathan to tell his story, which starts close to the Rebel nightclub at Toronto’s Polson Pier. “He floored it so much that I was not expecting it and I was almost holding onto my life. The rear wheels started spinning and he was losing control and trying to correct it. 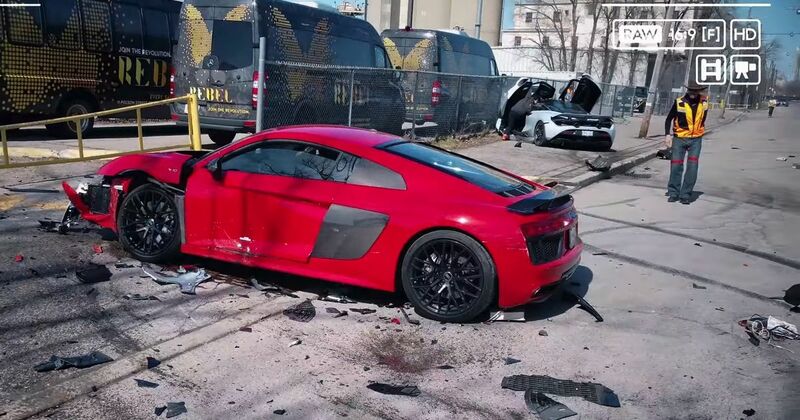 He completely lost control and started skidding towards the parked R8. “The lucky thing is that it wasn’t that fast; I think it was 60, maybe 80kph at most. 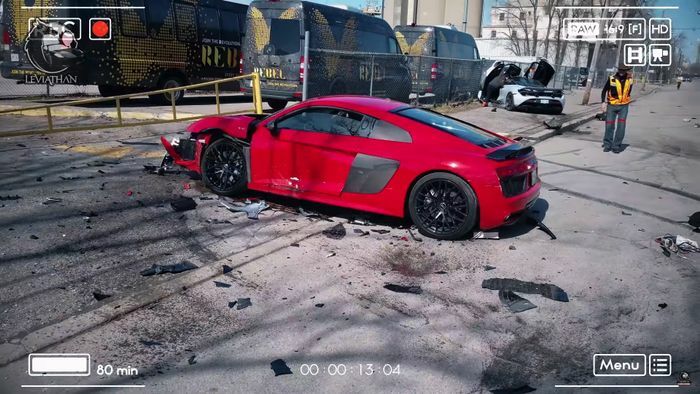 The call goes on to describe how the young lad behind the McLaren’s wheel has apparently crashed a few things before, including a Nissan GT-R. He just left the scene and disappeared, was wanted by the police for about a week and was eventually tracked down using the details from the Chinese passport that he accidentally left inside the car. As it transpired, the car wasn’t registered in the lad’s name, but it all could have been sorted out if he hadn’t run away. Leaving the scene made it a criminal offence. 0fxgvn does say that the rumour that the young guy’s sister turned up in a Lamborghini and tried to smooth things over wasn’t true. So there we have it. A young kid driving someone else’s supercar bit off more than he could chew and is paying the price. We’re just thankful that no one was hurt, but especially if the story about his prior crashes is true, he’s definitely better sticking to the bus.